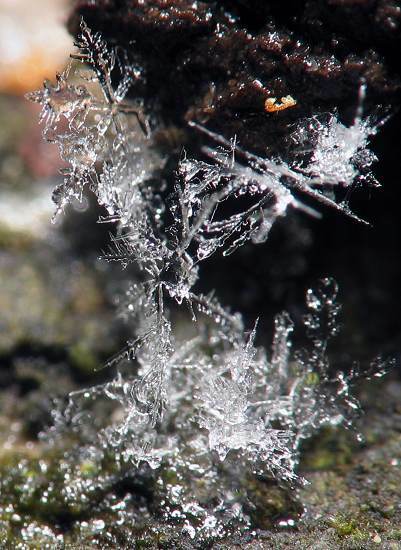 Snow is often thought to be rain that is frozen, this is not true, snow is created inside clouds when tiny ice crystals collide into each other and stick together. When the air on the ground is cold enough they will fall as snow. The shape of each snowflake is unique, no two identical shapes have ever been found.